DESCRIPTION This is what you've been waiting for! 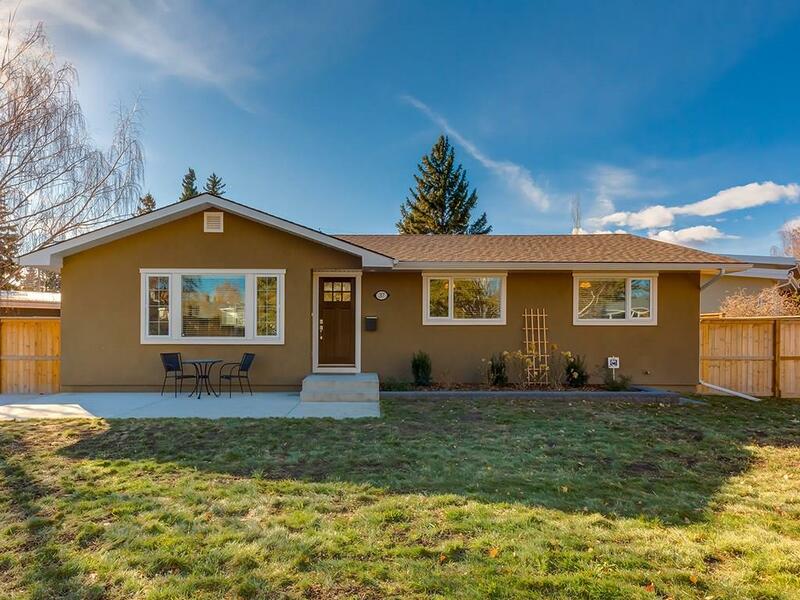 This spacious, open concept bungalow has been gutted down to the studs and fully professionally rebuilt and sits on one of the largest lots in the inner-city of Calgary! Everything is new, including: shingles, stucco, insulation, windows, doors, flooring, walls, kitchen, appliances, bathrooms, dual zone HE furnace, ducting, tankless hot water, wiring, plumbing, oversized garage, fencing and landscaping...EVERYTHING! With no expense spared, you won't find another home quite like this in Haysboro. Located on a quiet crescent, and walking distance to schools, shopping, rec centre, transit and beautiful parks and pathways. The garage is massive (28 X 24) with a 8' door and is insulated and heated. Sitting on close to 1/5 of an acre, there is plenty of yard for the family or hosting bbq's. There is so much value offered in this home, it's a must see! Home for sale at 37 Hallbrook DR Sw Calgary, Alberts T2V 3H5. Description: The home at 37 Hallbrook DR Sw Calgary, Alberta T2V 3H5 with the MLS® Number C4228770 is currently listed at $699,900.